I’ll be perfectly honest. If you looked at my legs you would likely say you had seen beefier pins hanging out of a birds nest. that doesn’t stop me hunting down great information and some handy-dandy discount codes for those of you with hulking great thighs. So without further ado, here’s the roundup of information on the best jeans for bodybuilders and athletes with muscular legs. If you’re tired of discomfort, your legs busting your jeans every couple of months, or maybe you have to buy larger waist jeans to accommodate those bulging thighs, then you’re in the perfect place. These guys got started with an ultra-successful Kickstarter campaign1 back in April/May of 2014. Their goal was to raise $15k, but it turns out they got $735,794! Looks like there are quite a few people out there in need of jeans for athletic thighs huh? Looky here! We got you a Barbell Apparel discount code for 10% off almost anything you buy at the store. Just type in the coupon code 'HOG' at checkout. and use the Barbell Apparel coupon code 'HOG' at checkout. The big and tall 541 are 98% Cotton and 2% Elastane. They have zipper closure and are machine washable. These 5 pocket style jeans sit at the waist and are straight legged. Why they are good for bodybuilders/athletes: Stretch fit with more room in the seat and thigh. 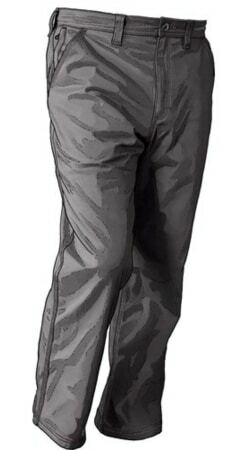 Pro tip: Go for the Levis commuter 541 athletic fit trousers at Amazon which are perfect if you want a water resistant pair of jeans. The 100% cotton, zipper closure Levi’s have machine wash durability and a relaxed fit. They sit at the waist and have all-around style. 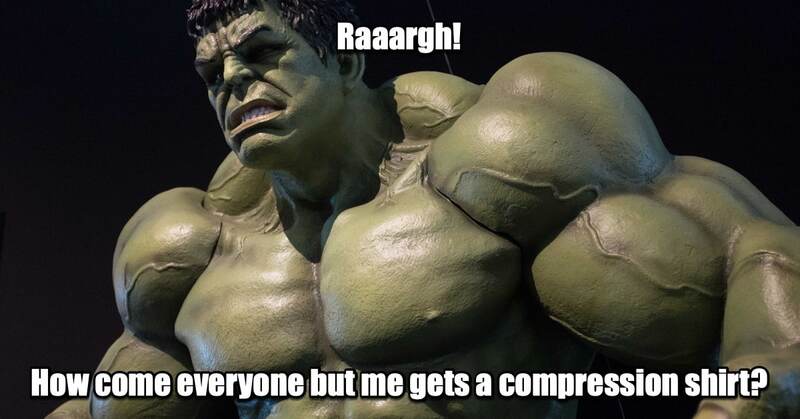 If that’s the case you should maybe think about seeing a tailor for adjustments. Here’s a tip on jeans for muscular legs and small waist sizes from our very own James Atkinson: GASP Denim. 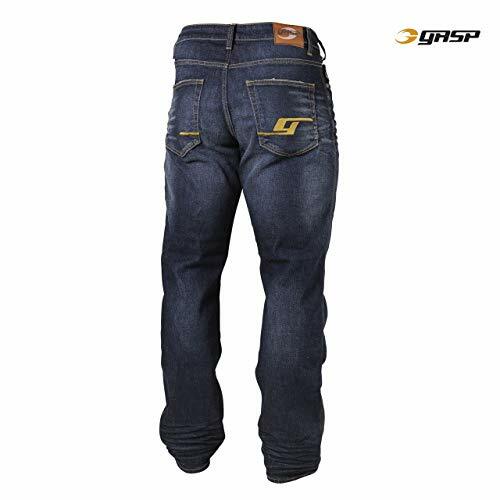 It was rumored at one time that the GASP jeans clothing company company belonged to Rich Gaspari, but it turned out to be untrue… Just thought that totally useless nugget might interest you. 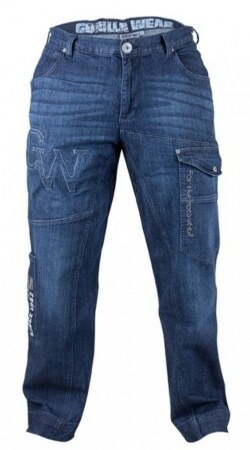 Gorilla Wear jeans are made from 95% cotton and 5% elastane, the GW82 jeans are available in sizes up to 2XL which make them truly gorilla fit jeans! Also, they come with a handy-dandy draw-string to ensure they fit snugly. 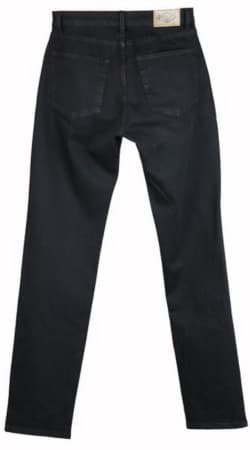 You might be surprised to hear that this is the only style of jeans that the Gorilla Wear bodybuilding clothing company produce at time of writing. Our theory for this here at HOG is that it probably it got too expensive/dangerous to keep enough gorillas in the warehouse to try the clothes on. The majority of the Fran line consists of denim shorts and jeans for athletic women, but there are a couple of options for men also with their “Daniel” and “Ryan” styles. Be careful when ordering, they say at the site that these styles run a size big so order a size smaller than you normally would. Yep, we also got you a Fran Denim discount code for 10% off almost anything you buy at the store. Just type in the coupon code 'HOG' at checkout. and use the Fran Denim coupon code 'HOG' at checkout. Workwear and trousers that don’t fall into the jeans category, or might just be for work purposes but may well be of interest to you, you bulky legged beast you! As well as the pants line they provide, there are also jeans, jacket, underwear, footwear and a bunch of other workwear and accessory options you can browse over at the online store. Anything with a gusseted crotch is worth having a look into in our honest opinion. Started by Merle Mckenzie and Glenn Perra Jr. who own five CrossFit boxes in central-Connecticut Relentless Jeans is another company that got started with a Kickstarter campaign,3 shortly after Barbell Apparel, back in May to June 2014. 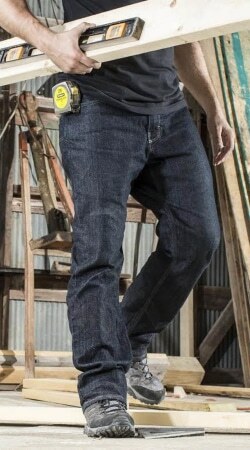 Information on the new Edison Atlas jeans is pretty hard to come by at the time of writing, but some of their fans on their Facebook pages swear by the old Relentless jeans. We are not sure what happened to Relentless Jeans, or why they rebranded as Edison Atlas, but we’ll keep you updated if any more information comes in. For now, keep them in mind for the future! 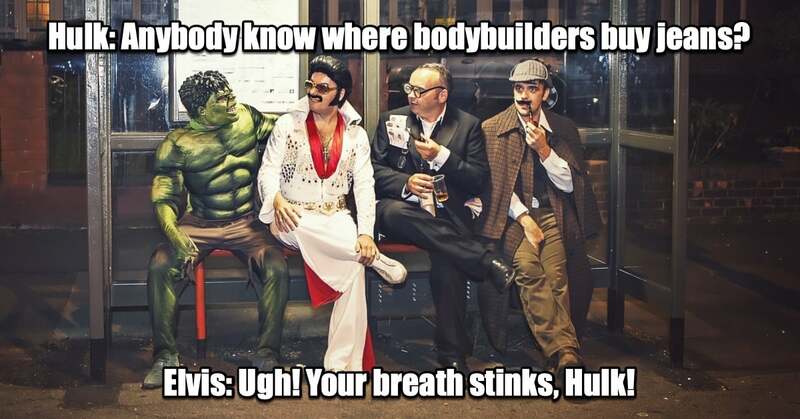 Know of any other great brands producing either jeans for bodybuilders or jeans for athletes with muscular legs? Tried any of the brands above and liked/disliked them? Let us know your tips in the comments!